I for one am happy- I have missed our angry murder machine and our smaller pessimist. 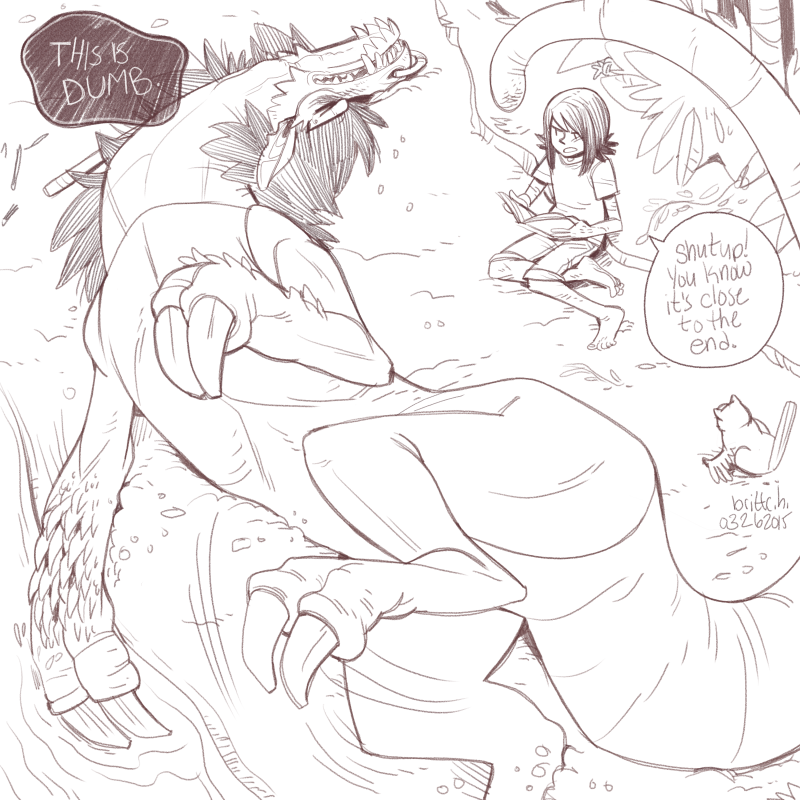 Hey lok, it's that dragon in the comic Fire Always Makes It Better! Weird seeing a dragon in a comic titled fire always makes it better, isn't it? The little marmot gull at least likes the story.